According to the Heritage Foundation’s 2013 Index of Economic Freedom, the United States has an economic freedom score of 76.0, which makes the United States rank tenth out of one hundred seventy-seven ranked countries. 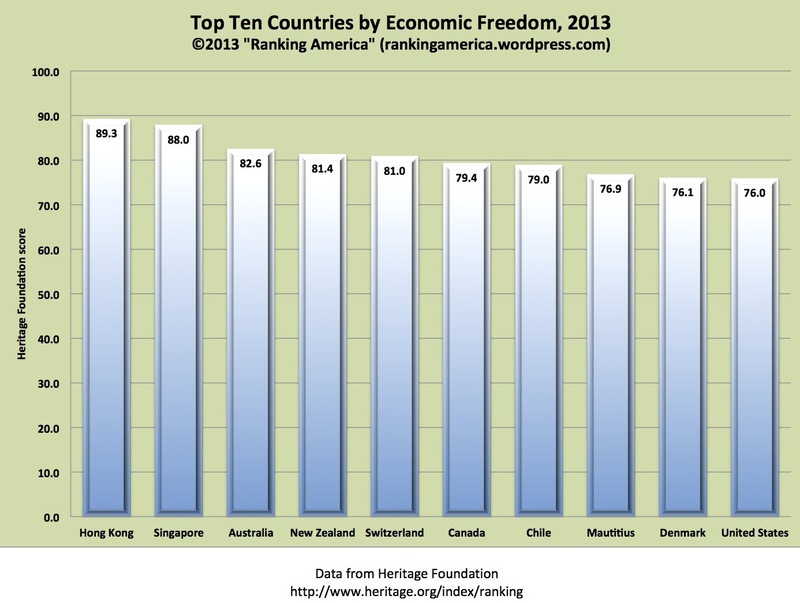 Hong Kong ranks first, with an economic freedom score of 89.3. 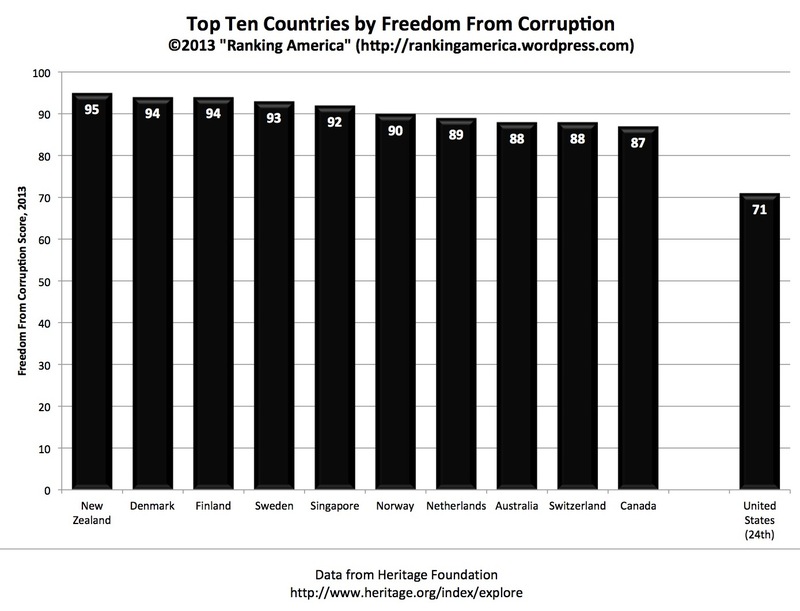 In 2012, the United States also ranked tenth, with a score of 76.3. 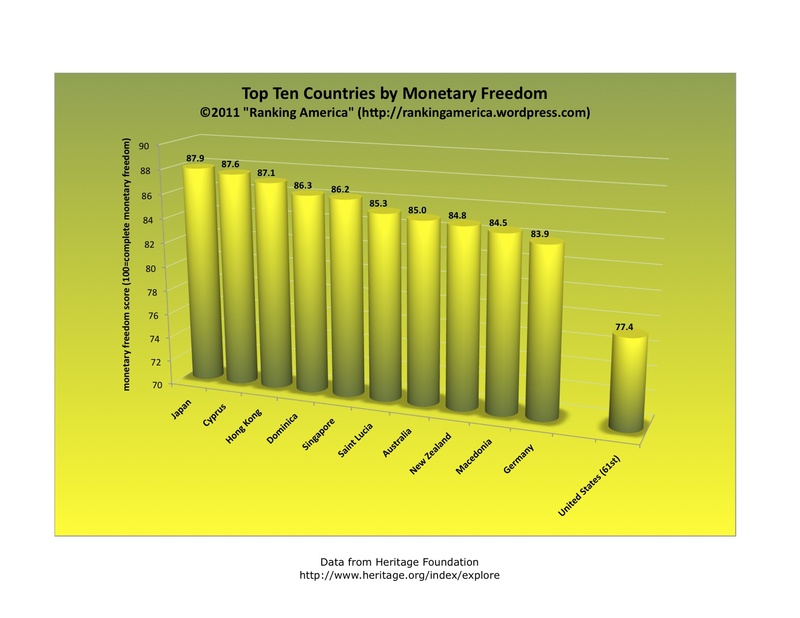 According to the Heritage Foundation’s 2012 Index of Economic Freedom, the United States has an economic freedom score of 76.3, which makes the United States rank tenth out of one hundred seventy-nine ranked countries. 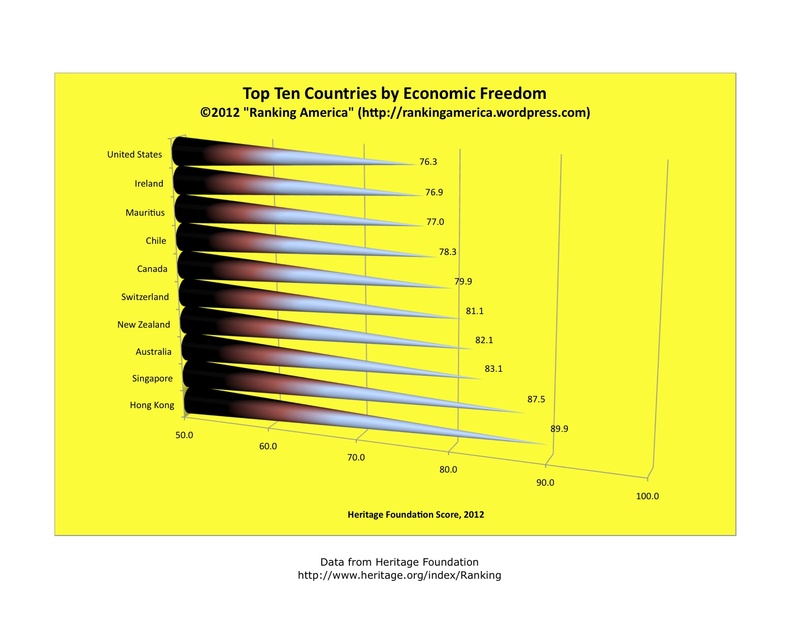 Hong Kong ranks first, with an economic freedom score of 89.9. 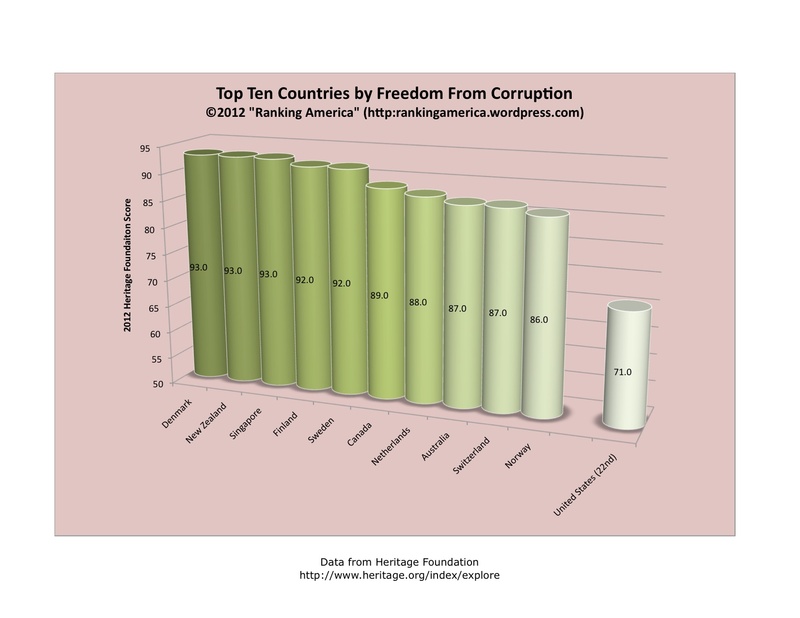 In 2011, the United States ranked ninth, with a score of 77.8. 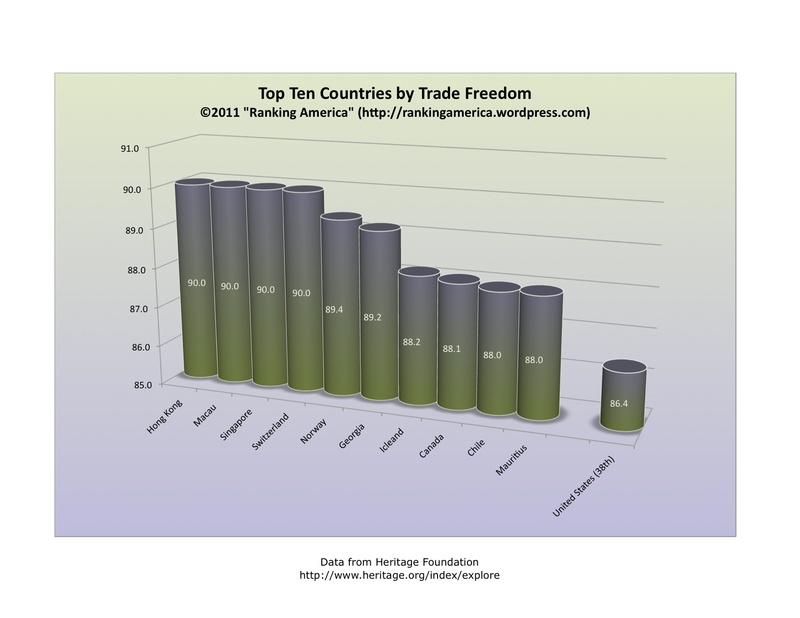 According to the Heritage Foundation’s 2011 Index of Economic Freedom, the United States has a “trade freedom” score of 86.4, which makes the United States tied for thirty-eighth in Namibia in that category. Several economies–Hong Kong, Macau, Singapore, and Switzerland–tied for first, with a score of 90.0. According to the Heritage Foundation’s Index of Economic Freedom, 2011, the United States has a government spending score of 54.6, which makes the United States rank one hundred twenty-first out of one hundred seventy-nine ranked countries. 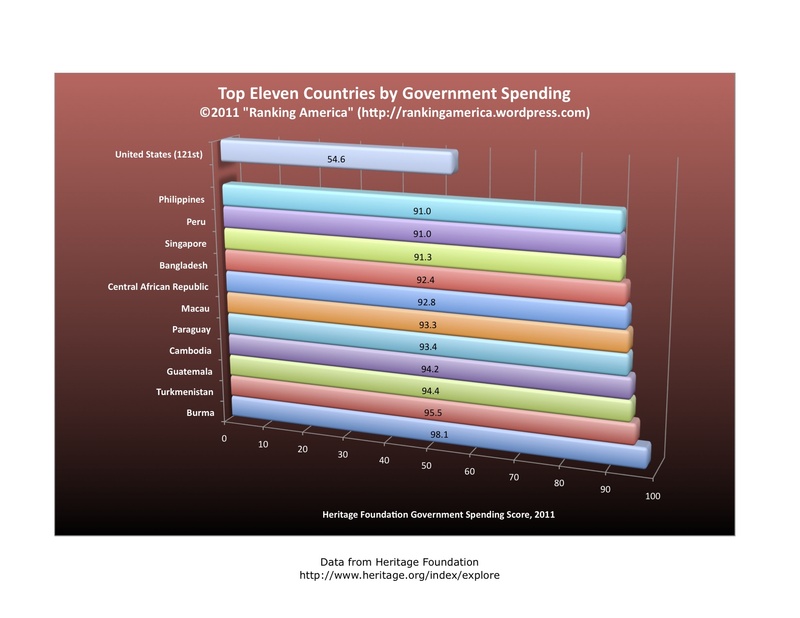 Burma ranks first, with a government spending score of 98.1.